Christian rock pioneer Larry Norman was a big fan of the coast. 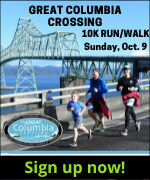 (Oregon Coast) – It's the kind of stuff that goes way beyond the tourist trappings of the coast. 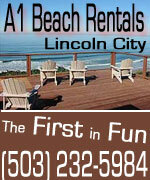 There are a few celebrities who make – or have made – their part time homes on the coast. In my 15 years of being a writer and photographer covering northwest Oregon, I’ve come across quite a few stories. Some of them are personal encounters and famous folks ' ’ve gotten to know. Sometimes these tales are about celebrities who are coastal residents. At other times, it's been accounts of the famous wandering through for whatever reason. Are these major celebrities, like the glitzy trash of Britney Spears or Paris Hilton? No. Luckily, the Oregon coast has no stories of such infamous undesirables. Although some big names do show up: Arnold Schwarzenegger, Sean Penn, King Crimson, Ted Nugent, Keannu Reeves, and probably most delightfully, John Cleese. Newport is a favorite haunting ground of David Ogden Stiers. 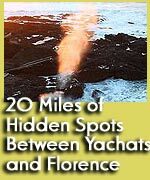 Whatever the case, these tales add an interesting dimension to your knowledge of - or maybe even your experience - on the Oregon coast. The former star of the super hit series “M*A*S*H” from the seventies lives in Lincoln County. He’s also been a part of several series since then, as well as having made guest appearances on “Matlock” and “Outer Limits” in the past 20 years. In fact, some of his roles have been as orchestra conductors – one which he knows well. He makes occasional guest appearances on the coast and around Oregon conducting orchestras - from the Newport Symphony Orchestra to the Oregon Symphony. 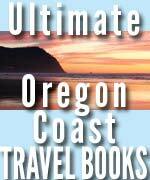 Hang around Cannon Beach enough and you may run into a couple rock star sisters or a famous sci-fi author. She’s the famous science fiction author who penned “The Lathe of Heaven,” which was made into a surreal movie in the 80’s. That story was even set in Portland. Ms. Le Guin resides in Portland with her husband Charles Le Guin – also an author. They are part time residents of Cannon Beach, and Ursula periodically shows up at lectures and functions on the coast and in Portland. In recent years, she’s become involved in some local issues on the north coast. 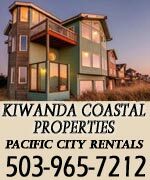 The ladies from the rock band Heart - Ann and Nancy Wilson – have had a part time home in Cannon Beach for quite a long time. I distinctly remember one interesting story from a friend back in the 90’s who said he was playing pool with a woman he didn’t know at a bar in Cannon Beach, and after a while realized it was one of the Wilson sisters. 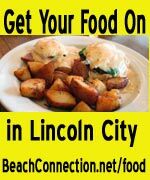 Glen Moore, at far left, was a Lincoln City resident for many years. Sure, he’s not exactly a superstar in the media, in the regular sense. But the longtime jazz innovator, part of the free-jazz group Oregon, is definitely one of the most cutting edge musicians in the world. 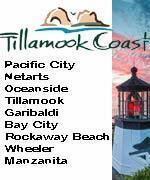 Moore currently lives in Portland, but for many years lived in Lincoln City (the only member of the band with the state’s name to actually live here). He’s shown up at some coastal gigs with singer Mary Kadderly, but mostly can be found performing in Portland. Back in the 90’s, the former owner of the now defunct Driftwood Mac record store once told me how he moved into Moore’s former house and claimed there was definitely an awe-inspiring “creative vibe” about the place. This would be no surprise. Oregon recently played Lincoln City in a fabulous concert, where Moore was visibly pleased to be visiting again. He’s known as the first Christian rocker ever, essentially considered the grand daddy of the genre back in the early 70’s, after departing from the band People immediately after their hit “I Love You.” Norman lived in Salem, where I became close friends with his brother, Charles, years ago. Sadly, Norman passed away in 2008, however. 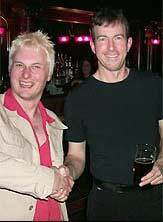 Charles was Larry’s guitarist for many years and was part of a Norwegian supergroup called Merchants of Venus. In fact, several Norman family members and I drove out to Oceanside in ’98 to check out an enormous beached whale. Charles once told me a strange, surreal story about how he, Larry and other family members were in Lincoln City one year during an incredible storm. Charles claimed they discovered later that this storm resulted in a water spout offshore, which then dumped fish on land in the area. I’ve never been sure if he was pulling my leg or not, and I’ve never been able to track down and confirm such an event. But I’ve always thought it was a rather biblical tale – amusingly appropriate because of Larry’s place in music history. Larry loved to hang out in Lincoln City, he told me once. He often stayed there with his son when he was a teenager. From his description, I believe the motel he favored was the Seagull. 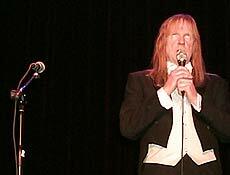 Larry retired from performing in the summer of 2005 with a final blowout show in Salem that also featured rocker Frank Black (who idolizes Larry). It turned out even bands like U2 looked up to him. Megan Cole (a.k.a. Liz) in a role on one of the Star Trek series. 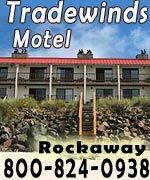 If you’re wandering around the Nehalem Bay area and you happen to hear a voice and see a face that seems to ring particularly familiar, like you’ve heard her and seen her on TV somewhere, you may not be far off. One north coast resident, whom you’ll find volunteering in some interesting spots, was a part time star on some major TV shows, as well as a live theater performer who has made a mark with plays dealing with dignity in dying. Megan Cole – otherwise known as Liz Cole - played small parts on "Seinfeld," "ER" and two of the Star Trek series. 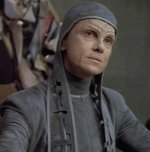 She was on “Next Generation” in a couple roles, played a ruling Romulan dignitary on two of the final episodes of “Deep Space Nine,” and was part of a small story arch on “Seinfeld” in the 90’s, in the “Suzie” episode, playing a co-worker of the Elaine character. She occasionally performs small shows in the area, usually one-woman productions that are reportedly top-notch. 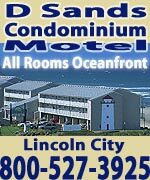 That’s right, believe it or not, singer Pat Boone (a friend of Larry Norman’s and a former neighbor of Ozzy Osburne) had some ownership in the Waldport hotel called the Pat Boone Inn. It was eventually called the Bayshore Resort, the Bayshore Inn and now it’s a Howard Johnson’s. I remember staying there a lot as a kid, sometime in the early 70’s. Steve Wyatt, when he was curator of the Newport History Center in the 90’s, reminded me that the lighted sign for the hotel featured a picture of Boone, wearing – get this – a pink leisure suit. In the late 70’s, that hotel hosted a group that was to become darkly infamous later. The Heaven’s Gate cult, which offed themselves in California in the late 90’s, held a big meeting there about 1978. This band has been an obsession of mine ever since high school, and I’ve been lucky to interview most of its members, who have been some of the most influential musicians in the world, and who in turn have played with dozens of other major artists. 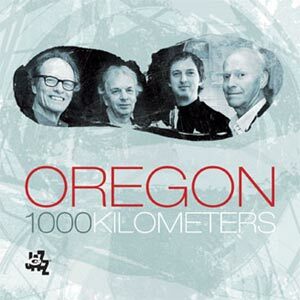 I’ve had the pleasure of talking to drummer Bill Bruford (Yes, Genesis), bassist Tony Levin (Peter Gabriel) and Pat Mastelleto (Mr. Mister – and who also had an Oregon connection in his early years). Bassist/Warr guitar player Trey Gunn has played with Crimson leader Robert Fripp since the 80’s (arguably the most influential guitarist of all time, and yes that means more so than The Beatles or Michael Jackson) . Gunn has been a part of Crimson since 1994. Just before getting snapped up by the Holy One of Art Rock, Gunn was a student at University of Oregon. Gunn is partially responsible for some of the most surreal and intriguing music of the last 15 years, between his work with Crimson and his own solo career. Appropriately enough, his connection to the coast is pretty freaky. Bassist Gunn, who now lives in Seattle, told me an especially weird beach tale about his years at UofO. 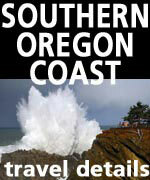 About 1985, he recalled, an earthquake in Japan was to result in a tsunami hitting the Oregon coast. Gunn, like thousands of others, zipped out to Florence to check it out. He saw one of the rarest events ever on this coast. In an interview with me in the 90’s, he described it as a single wave that went all across the horizon, slowly coming in. 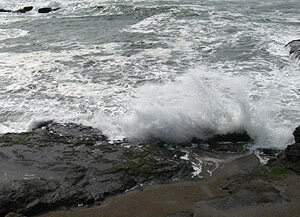 He said that when it finally hit the beach, it was only about a three-foot wave. “It was the weirdest thing I’ve ever seen,” he told me. 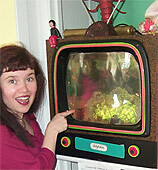 There was, at least at one time, a fish called Wanda in the tank at Wanda's in Nehalem. John Cleese: A Fish Tale from Wanda’s? Indeed, this tale is true. According to Wendy, owner of Wanda’s Café & Bakery in Nehalem, the former Monty Python icon dropped in one day in the spring of 2003. Wendy says he popped in for coffee, and it took a while for someone to recognize him. But it was unmistakably Cleese – tall, very English and well dressed He eventually struck up a conversation with Wendy, saying he had to check out the place because of the movie, “A Fish Called Wanda,” which he starred in. He was also intrigued by the fact the owner was named Wendy – the name of his wife in the movie. She, in turn, was delighted to tell him there was indeed a fish called “Wanda” in the whimsical fish tank in the restaurant. The story doesn’t end there. Cleese left in a gold luxury car, just as a diner noticed a $100 bill lying on the floor where he stood moments before. After trying to chase down the car to give it back, everyone weighed the evidence and decided it was likely he did it on purpose. Wendy says that night, the employees gathered at a local watering hole, bringing along all the Cleese and Python videos and stuff they could find and putting them in a pile on the table, and they drank the night away on what they called "Cleese’s tab." 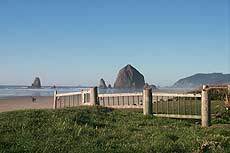 Goonies Rock, in Cannon Beach, is now a landmark, thanks to the film "Goonies." Among the others linked to the coast in some way: Marv and Rindy Ross (of rock band Quarterflash) had a pad in Oceanside in the 80’s. Alternative rock band Everclear, from Portland, had a song on their first album called “Nehalem,” apparently about a real girl who moved there. 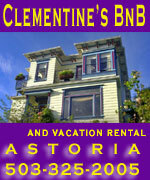 Numerous movies have been filmed on the coast, especially in Astoria. 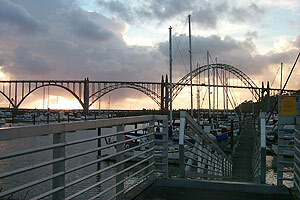 “Short Circuit,” “Free Willy” and “Kindergarten Cop” were all filmed in the atmospheric North Coast town. That’s right, now-California Governor Arnold Schwarzenegger spent time there. 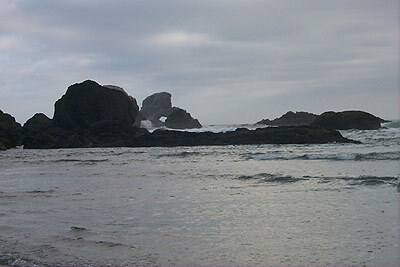 “Goonies” was also filmed in Astoria, Cannon Beach and some parts of the South Coast near Port Orford. In the spring of 2004, during the big yearly Republican gathering in Seaside, there were a few sightings of Schwarzenegger wandering the town with a security entourage. His presence there was brief and kept secret. 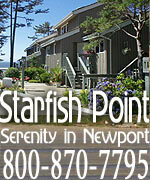 Sean Penn was spotted in Fultano’s Pizza in Cannon Beach in the spring of 2006. Owner Dave Johnson said he and two friends bought pizza slices for lunch. Later in the year, he and other big stars inhabited Astoria for the filming of a movie he was directing. 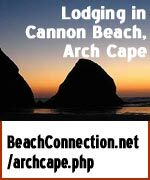 Yachats has a video showing off its landscapes with music by former Oregonian Patrick O'Hearn (formerly of Frank Zappa, Missing Persons). There’s a video of the Yachats area, sold by its Visitors Center or given to press, which features beautiful, serene moments of the area’s beaches. It’s all set to some wonderful electronic music, created by former Oregonian Patrick O’Hearn (Missing Persons, Frank Zappa, Mark Isham). O’Hearn and his brother Rob grew up in Eugene. Eventually both were part of Missing Persons. There’s a rumor rocker Ted Nugent “adopted” a stretch of highway around Neskowin for many years, sponsoring its cleaning up (just as many businesses do, as you see on highway signs). A niece of Nugent’s resides in Portland.